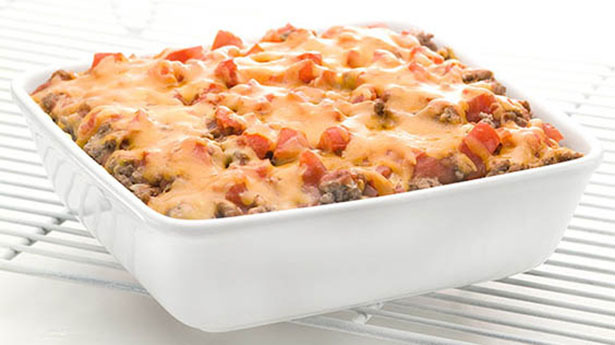 Try a new twist on a cheeseburger with this ground beef casserole made with macaroni, cheese and tomato sauce. Preheat oven to 350˚. Coat an 8-x8-inch baking pan with nonstick cooking spray set aside. Cook ground beef and onion in a large skillet over medium heat, until beef is browned and onion is soft; drain.